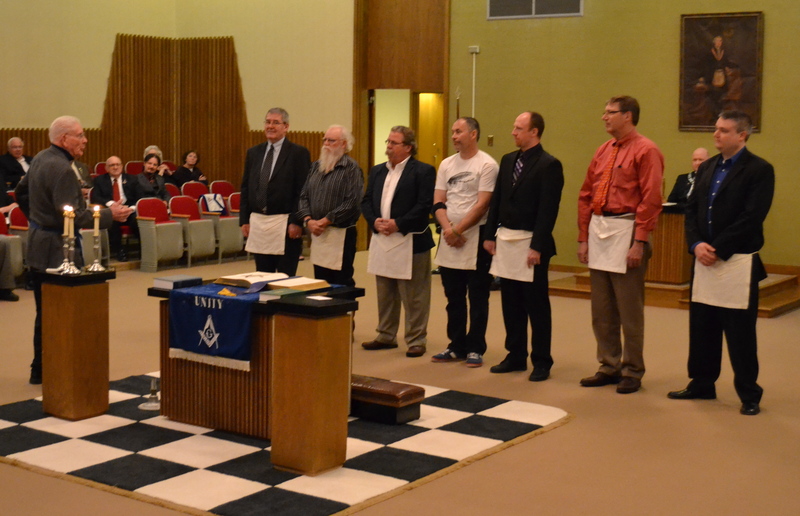 On Thursday, September 25 the Brothers of Unity Lodge 130 conferred the Fellow Craft Degree to two candidates! We congratulate them on their next step in Masonry. 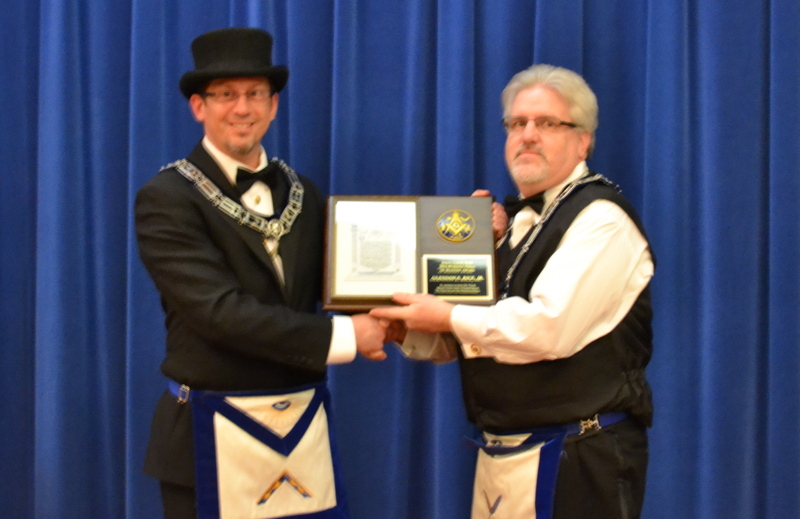 Worshipful Master Bergstresser had this to say about the night. “Congratulations to the two brothers who took their second step in Masonry and were passed to the degree of Fellow Craft! We had several brothers assist with the degree and thank them for being a part of this. Of the three degrees, I enjoy this one the most as it really crystalizes and culminates a lot of the truths and tools that Free Masonry has to offer. Check out the September Cable Tow under the “Cable Tow” tab! We look forward to seeing all Brothers at our next regularly stated meeting on September 11! Check out the Calendar for more happenings! 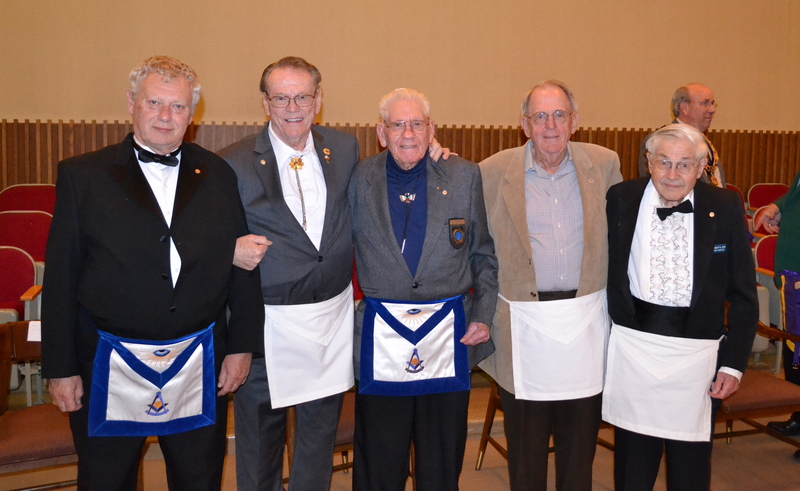 On Thursday, May 8, Unity Lodge welcomed back its Past Master’s as they took over the chairs for the night’s festivities. During this night, we honored some our most senior Brothers with their 50 & 60 year membership pins as well as presented some of our newest Brothers with their Bibles and Aprons. 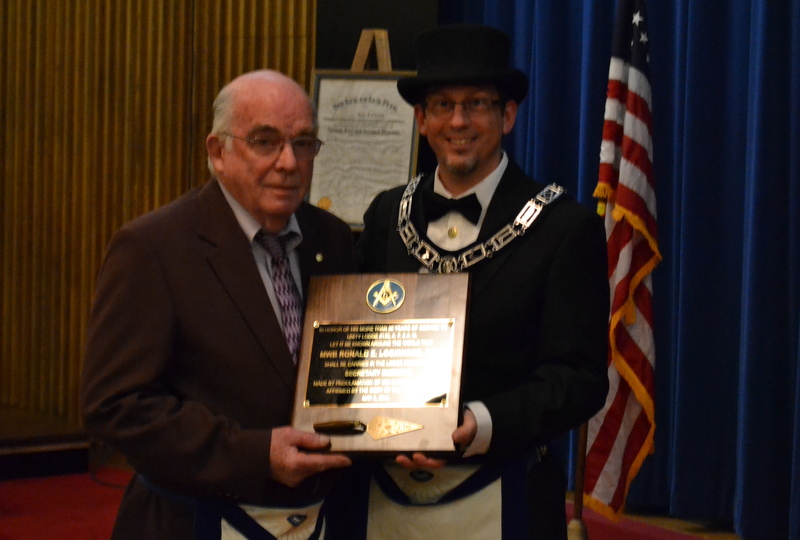 In addition, WM Wood and the Lodge were pleased to present WB Ron Lockwood with the position of Secretary Emeritus for Unity Lodge. WB Glen Rice received his Working Tools Award from WM Wood. 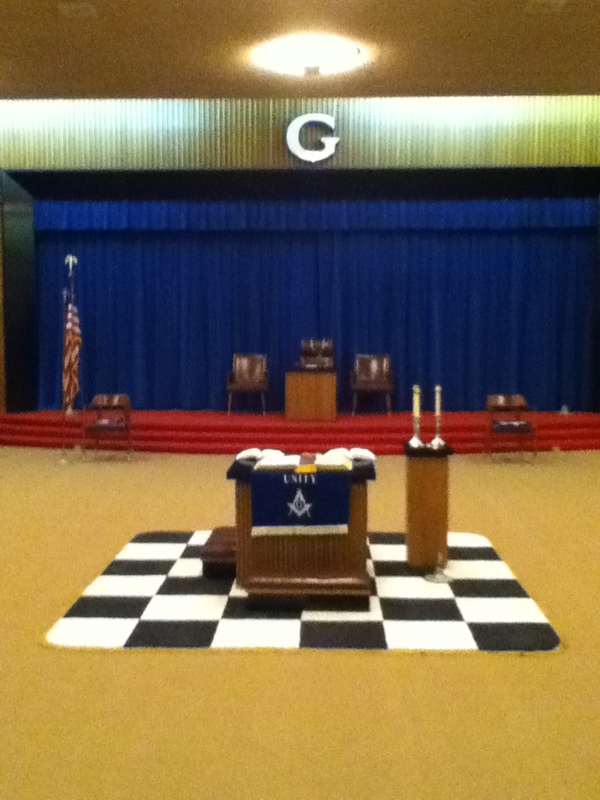 During the Masonic One-Day this past Saturday, April 5th, the new rug that was purchased by the Brothers of Unity Lodge was unveiled. This rug will be utilized by all Blue Lodges in Sioux Falls to help decorate their lodge, especially during degree work. The new carpet is high quality and can be moved from lodge room to lodge room as needed. Thank you to all of the Brothers who contributed to this purchase. If you would still like to make a contribution, contact us at unitylodge130@gmail.com. South Dakota Attorney General Marty Jackley commended the work of area Freemasons through the SDCHIP program. For more information on this story, please follow this link!